The weather is finally becoming more like summer! I am already getting excited because we already have two camping trips and a few outdoor activities planned for coming months. In this kind of weather, a simple cold dish is just about what I need. When the weather turns hot, you really want to avoid any thing to do with the heat, be it your stove. Also you don't want to have left-overs sitting in your refrigerator for too long since the foods tends go bad more quickly even when kept in the refrigerator. 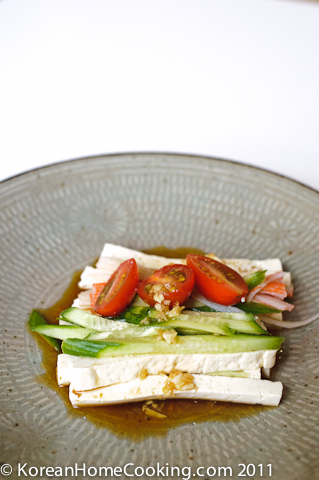 So here is a perfect dish for this summer, Tofu Stick Salad. It combines these two essential elements of summer dish: you don't have to use the heat, and you are most likely to have these ingredients in your fridge that should to be consumed pretty soon. No need to go grocery shopping. Just enjoy minimal cooking and refresh your appetite for this summer. 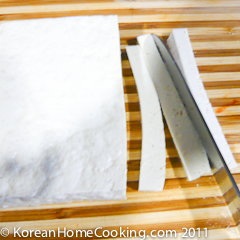 Cut tofu to about 1/4 inch thick sticks. 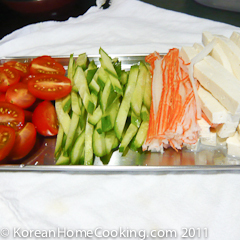 Julienne cucumbers and other vegetables of your choice thin and long. Combine all the ingredients for sauce and shake well. 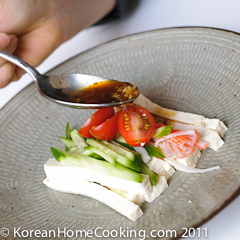 Place the tofu sticks at the bottom and stack all the other ingredients on top. Then pour the sauce over. Thank you for sharing such a refreshing recipe. I will definitely check it out! Wow, so simple! This is perfect for the hot weather. I love this tofu salad. It's looks very easy to make and quite tasty too. I'm a long time reader/lurker of your blog. This recipe sounds so delicious -- I can't wait to try it! Thanks all! So, has any of you tried it? How did it come out? what type of vinegar do you use for your salad? 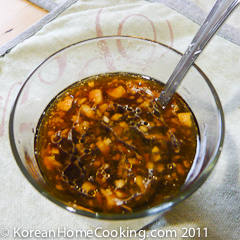 @Angee, I used just regular Heinz vinegar, but I think you can use apple cider vinegar instead as well. Janice, who replica wathces refers to herself as the "The Big Dog"in her latest novel, discusses replica rolex the men of her life and gives "special rules" in order to date gucci replica according to their own limits and desires. WTF? She has limits? Call me crazy, but I chanel replica don't think a women who has been married and divorced three times and replica handbags claims to have slept with over 1,000 men, should be advising anyone hermes outlet on dating. Either that, or it should be only fendi outlet one page long. Tofu is my favorite cheese. Besides, this salad looks very tasty. And recipe is so easy. I will definitely cook it and then I'll tell you my opinion. Please keep it good posting. You may use http://custom-paper-writing.org help for all new posts and be sure in their brilliant quality 24/7!